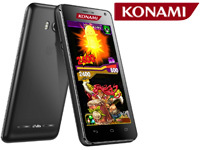 A new school year starts tomorrow for Konami's Quiz Magic Academy IX players. 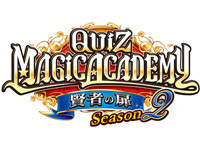 Quiz Magic Academy IX Sorcerer's Door Season 2 brings many new features compared with the first episode released last year. A new "rival" feature automatically registers opponents that the player faces often as rivals. If the player wins against them, he gets more magic stones. A national tournament mode for up to 16 players is available. If four players participate in the national tournament final, special events occur (such as character anniversary memorial). There are also changes in character illustrations, screen selections have been redesigned and new music were added. 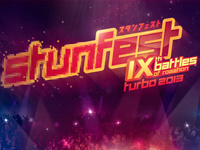 Stunfest 2013 is less than one month away! 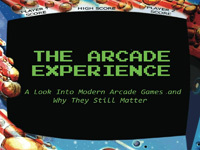 It's an unmissable event for arcade fans. If only 2 of the various tournaments are arcade tourneys (Breakers Revenge and Super Street Fighter II X - Grand Master Challenge), visitors will enjoy themselves with the dozen free play arcade machines offered by 3 Hit Combo and Tony Games. There will be a shoot'em up zone by James Game Center. In this context, 3 Japanese players owning world records will demonstrate their skills on Battle Garegga, DoDonPachi Saidaioujou and Mushihimesama Futari. They are Kamui, Clover-TAC and NAK. This event is part of the "Wasshoi in Europe" project from SuperplayLive and 3 Hit Combo. 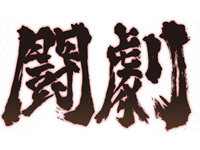 The intend is to build bridges between the Japanese and Western shmup communities. There will also be screening of 100 Yen: The Japanese Arcade Experience and Le Tournoi des Légendes documentaries as well as concerts of 2080, Dataglitch, Flying Penguins, Sabrepulse, Speed Running the Apocalypse and Ultrasyd. Many other activities such as blind tests and conferences will be organized. In short, no way to get bored at such an event! See you at the INSA's Halle Francis Querné on April 24, 25 and 26 for the 9th Stunfest! You can order your ticket and register for tournaments via the online shop. Annual event since 2003, the arcade tournament Tougeki is suspended this year. 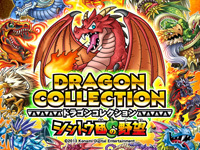 This is the executive committee that announced it on the event official website in a message both Japanese and English. According to the message, the suspension of Tougeki (as well as its qualifications) is due to difficult circumstances and a tumultuous entry in the 2010s, especially last year edition where home consoles tournaments were introduced, which was rather badly experienced by arcade players. Other events will still be held and the committee prepares a reborn of the Tougeki scene to fulfill the needs of fans. Let's hope that this break will be short and that the Tougeki will return in 2014! Arc System Works's Tottemo E Mahjong is the first Mahjong game out via Taito's NESiCAxLive. It will be available tomorrow. 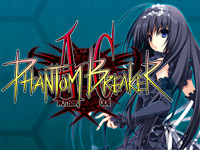 It is an adaptation of the PS Vita downloadable version released in September 2012. 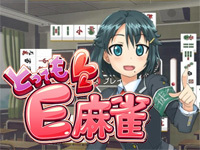 In addition to the 4 characters from the PS Vita version (Saki Nakano, Mashiro Asagiri, Hazuki Saionji and Shizu Tsubakino), a new student will be available in Tottemo E Mahjong. This is Aisaka Akira, a young 18 year-old girl who is the president of the student council. The player will have to overcome many different victory conditions to unlock illustrations (sometimes naughty) of the heroines. Other news about the NESiCAxLive: BlazBlue Chronophantasma Ver 1.2 will also be released tomorrow. Two new game modes will be added. "Unlimited Mars" mode: the player compete in 10 stages, opponents are greatly enhanced than usual. Player's results are recorded in the Player's Guild. And "Survival" mode: the player continues to play the game until the time limit expires. The difficulty increases after each battle. A national ranking will be available. It's been 2 weeks since Made in Asia 5 closed its doors. This new edition was a complete success with more than 34,000 visitors! Arcade Belgium was full packed the whole weekend and the two arcade tournaments were held in a great and happy atmosphere. On Saturday, Omar of the Player team won against ElderGoD at Tatsunoko vs. Capcom - Cross Generation of Heroes while Keurtis reached the third place. On Sunday, the Tekken Tag Tournament 2 Unlimited tournament saw the victory of NeoNinja against Mishi Master and Dim. Note that this tournament led to the creation of the Tekken Belgian Community by NeoNinja. Check the dedicated Facebook page to join! You can find the full results of both tournaments and pictures in our short report. Thank you to all the visitors who came to see us. 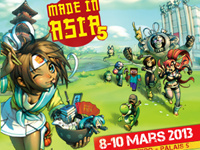 The next Made in Asia show will be held at Brussels Expo on March 14-16, 2014. Don't miss it! 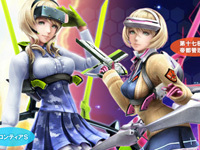 Version 1.43 of Square Enix's Gunslinger Stratos is released today. Bug fixes and weapons adjustments have been made. But the main new feature is the appearance of a new character: Ryusha-Lyudmila N Ignatova-, a 18 year-old russian genius in charge of counter-terrorism. Her real name is Lyudmila Nikoraevuna-Igunatowa. She has the particularity of having cyborg prothesis instead of legs and she's the only character who uses area of effect weapons. As for the other game characters, Square Enix has called a well known illustrator for Ryusha charadesign: Shirow Miwa (Dogs manga series author). This game could be released outside Japan.